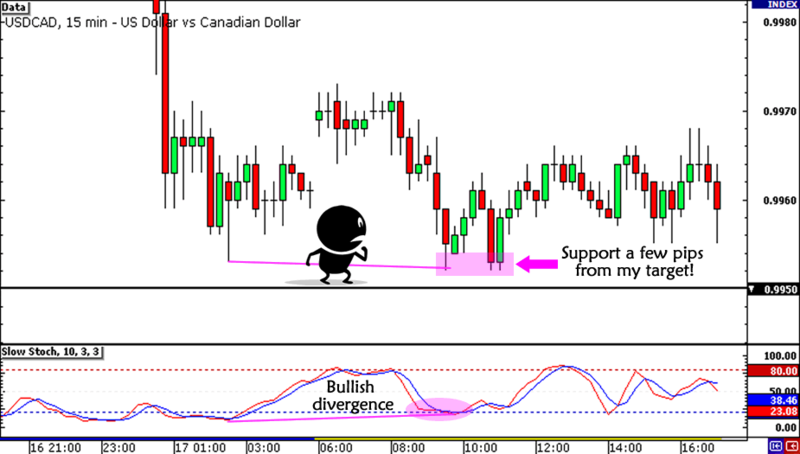 USD/CAD: Shorting at the Top of the Range – Back-to-Back Win! Yipee! 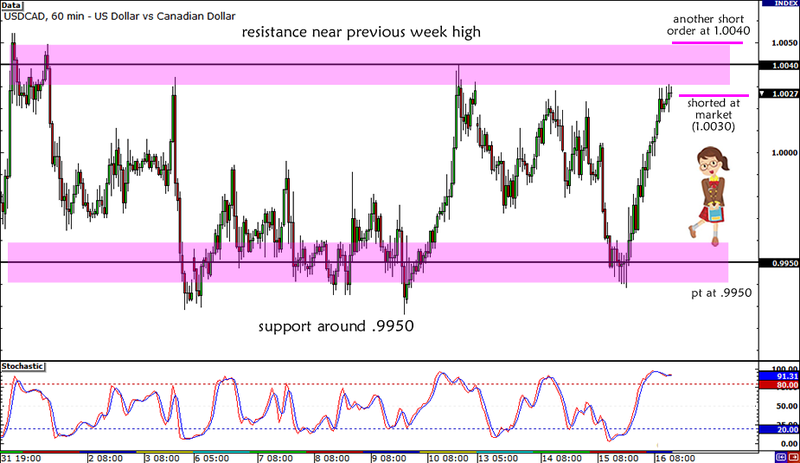 I scored another win with this short USD/CAD range play as I decided to lock in my profits at .9960 before the end of the week. Aside from following my trading resolution to close trades before the end of the week, another factor that led me to exit early was this bullish divergence that formed on the pair’s 15-minute time frame. Although it was just a few pips away from my profit target at .9950, I thought it’d be better to lock in those profits instead of waiting for the pair to actually hit my PT. I didn’t want to risk missing my PT by a few pips again, just like I did with one of my AUD/USD trades this year. Besides, as I pointed out before, a win is still a win, right? P/L in pips: +66 pips on my first position and +80 pips on my second position for an average of +73 pips and a total of 146 pips. Alright, that’s it for me today! I hope y’all liked this comdoll setup and I hope I can come up with another win next week! After winning my most recent NZD/USD trade, I think it’s time I try my luck with another comdoll pair! Just a couple of hours ago I shorted USD/CAD at market after I spotted a consolidation at the 1.0250 area. Not only that, it’s also at the top of the intraweek range on the 1-hour chart! Fundamentally, the oil-related Loonie has so far been the strongest performing currency against the dollar among the G10 countries in February. I’m crossing my fingers that the Loonie strength continue until it hits my profit target! Shorted at market (1.0026) with 0.25% risk, stop loss at 1.0070. Another sell order at 1.0040 (previous week high) with a tight 50-pip stop at 1.0070. Since I’m trading the range, I’ll be aiming for the bottom at .9950. Of course, I’ll also be watching Canada’s parade of economic reports coming up this week, from the foreign securities purchase today at 1:30 pm GMT until the big Canadian and CPI reports tomorrow around the same time. In the meantime, what do you think of my trading plan? Am I missing any factors here? As usual, you guys are more than welcome to share your advice! After all, it was a comment from a friend last week that helped me win my NZD/USD trade!